Is there such a thing as typically Jewish philosophy? That’s an interesting question but I would not dare to answer it, and certainly not in the short space of a column. Another, slightly more focused question: does something exist that the Jewish philosophers Spinoza and Levinas have in common? If so, could that commonnality be interpreted as something Jewish? Whatever our answer to that question will be, we first of all will have to establish – as many people have done before – that with regard to a theme which for Levinas is essential, Levinas and Spinoza are diametrically opposed. That theme is the question whether reality is a closed entity. Levinas vehemently opposes the conception of the world as a closed system. Because in such a system man is easily subordinated to a kind of totalitarian thinking in which he is only a cog in the machine. 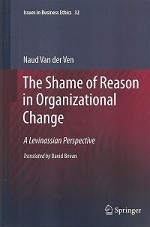 In contrast to that, Levinas emphasizes that there are phenomena, such as another human being, that time and again can break the closeness and that point to an infinite openness. That’s more or less the absolute opposite of Spinoza’s vision. As much as Spinoza is concerned, according to Han van Ruler, there is just one reality, one natural system into which everything is included, to the effect that “nothing escapes the power of the system. The whole universe hangs together as a single tight reasoning”. One may argue about it, but to me the openness to transcendence and the reserve vis a vis closed (thinking-)systems seems to be a Jewish trait. This trait manifests itself early in Jewish history in the guise of prophets who had to correct kings, and in the reluctance with regard to the absolute claims of messianic figures. However, it is clear that the Jewish philosophers Spinoza and Levinas on this point have little in common. For a change I want to divert attention to an aspect that I find Jewish and that both, Spinoza and Levinas, do exhibit. What I mean is their outspoken appreciation for the quality of life, as something which can be distinguished from the attention to the mere fact of existence. 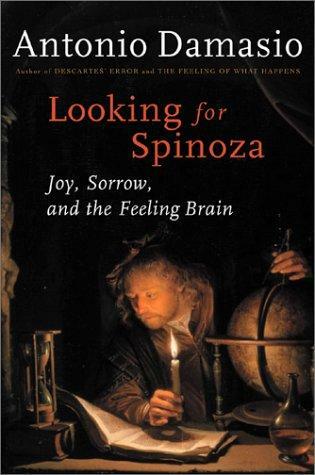 When it comes to Spinoza’s appreciation of quality of life the neuro-philosopher Antonio Damasio expresses this as follows: “Not content with the blessings of mere survival, nature seems to have had a nice afterthought: to provide a better than neutral life state, what we as thinking and affluent creatures identify as wellness and well-being”. For indicating the quality of life Levinas uses the word ‘enjoyment’, with regard to which he says: “The bare fact of life is never bare. Life is not the naked will to be, life is love of life, a relation with contents that are not my being but more dear than my being: thinking, eating, sleeping, reading, working, warming oneself in the sun”. In my view, this Jewish appreciation of the experience of human existence traces back to the taking seriously of emotions – social, sexual, moral, and other emotions. I call that a Jewish trait, though one could wonder about that nowadays with so many ultra-Orthodox Jews around who are constantly trying to suppress their sexual impulses. Spinoza shows that trait indeed, even though he is often cited as representative of the Western tradition which mostly wants to learn us to stand unmoved beyond many things, and certainly beyond emotions. 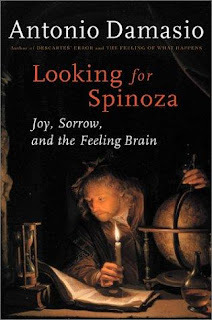 Damasio shows that Spinoza can be placed in that emotion-critical tradition indeed, but with a characteristic annotation: “the subduing of the passions should be accomplished by reason-induced emotion and not by pure reason alone”. Because, says Spinoza, reason on its own has difficulties in fulfilling its emotion-suppressing task. To which Damasio adds: “try to avoid it, it is very energy consuming”. The latter may appear to us to be self-evident, but it certainly has not always been so. In order to see that we may compare it with the aforementioned age-old mainstream Western philosophy which tended to distrust or neutralize emotions. On the religious level this was manifested in the Christian tradition that considered the body as an in itself insignificant vehicle for the journey of the soul to the afterlife. On the secular-scientific level that was visible in a greater attention to the existence of the world, the people and things, than to the experience of existence. Appreciation for our earthly existence and the contents thereof, in a cultural-philosophical way – ie in a non-trivial way – that point was reached in the Western world at its earliest in Montaigne, and really only in the twentieth century in modern hedonists such as Michel Onfray and Michel Foucault. And then, according to Damasio, only very partially still, because “feelings were beyond the bounds of science, thrown outside the door”. So, Spinoza’s attention to the world of our experience was early, and Levinas’s did not come from nowhere.